Another Doctor Who audio trilogy today. This time with the Sixth Doctor Colin Baker who is frequently derided as the worst Doctor. I do not share this opinion. He has, however, had the best audio track record so far and the following audios are magnificent examples why. It is nice to hear the Daleks as ruthless killing machines instead of stupid trash bins. In this audio, the Daleks are a threat again as they hunt the Doctor to 2012 after he tries to interfere with their plans at the battle of Waterloo. The Doctor crashes and encounters former associates Flip and Jared, but he's having trouble remembering their past adventure. Warning: this story does give minor spoilers about the fate of previous companion Evelyn Smythe, so, if you care, avoid it until later. It is episodes like these that make me hate the BBC heads in the eighties. Colin Baker has proven himself to be a fantastic Doctor and I feel he held up well even with the crap he was given back then. In this adventure he is pitch perfect and I can't give too much away without spoiling, but the twist in his performance is great. Flip has been seen before, but this is her first time as an actual companion. I have not listened to her first story, The Crimes of Thomas Brewster, but this is a fantastic story for a Doctor Who fan just getting into the audios. We get to learn about who Flip is and her situation as a proper companion introduction. I enjoy her even if she is a bit dense sometimes and I am curious as to how she'll turn out. Jared holds his own as a guy just along for the ride. He avoids the trap of other boyfriends by being interested and contributing to the experience. However; he is also a bit dense. The Duke of Wellington is an interesting old codger. He doesn't get too much to do, but his scenes are well put. I also liked the compare and contrast in roles between he and Napoleon. The General has to expalin himself to his queen, but the Emperor explains to no one. Napoleon Bonaparte is portrayed masterfully. At first I though his inclusion was kind of strange and a bit off-putting, but but by the end I really felt his character arc added a lot. Also, I was surprised Napoleon got a character arc. The Daleks, as mentioned above, are back to their old exterminating ways. There is no stupid prisoner taking or softness from them, which is a relief. The Daleks can and somewhat have become a joke in the past dies to bad handling. None of that is present here as every Dalek must be dealt with and is given a respectable dread. 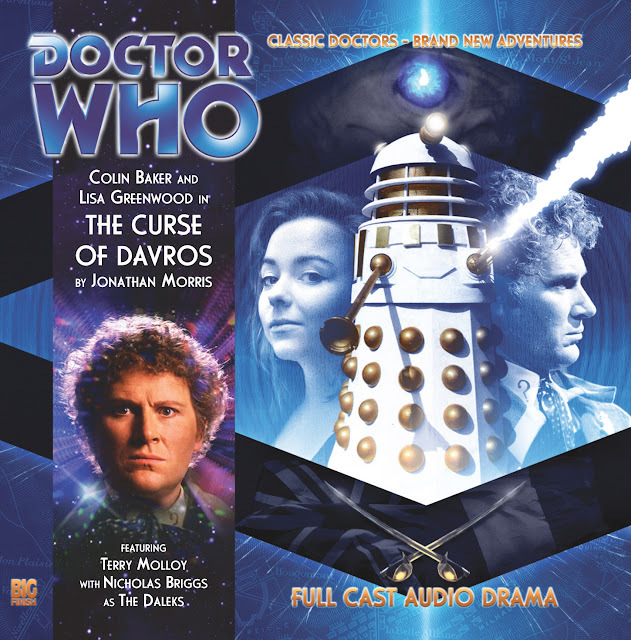 Davros is the primary antagonist for this adventure and he is also in top form. His plan is a bit weird, but this is Doctor Who and it is explained, mostly. I do not want to give away anything, though I think most fans will have known about the mid-story twist by the time it happens. Let's just say I like the ideas involved and how it turns out. The audio landscape is great. I could easily imagine the streets of London, wandering through the Dalek mothership and sneaking through the lines at Waterloo. Cannon and rifle fire alongside Dalek guns help to enhance the story rather than distract. The ending did seem a little rushed and they glossed over a few things, but was enjoyable. I don't want to say too much because I really recommend this one. The ideas in this story are all strong and the characters are well thought out. The plot gets a little wonky in places, but I don't think that detracts much from this story. Any fan of the Sixth Doctor, Davros, or the Daleks has to check this one out. In this adventure, a TV executive is on the brink of ruin and his success hinges on his next show. The TARDIS is drawn in by a strange energy and Flip is pulled into a TV Show and the Doctor must get her out. This one had me going back and forth, but I didn't care much for the end, so it got lowered. Also, Big Finish has put a new companion and the doctor apart for most of their second story together again! First Mary, now Flip. I know this is Flip's third overall story, but it is her second as companion. I'd like to see the Doctor and companion develop rapport before they are separated for large chunks of the story. 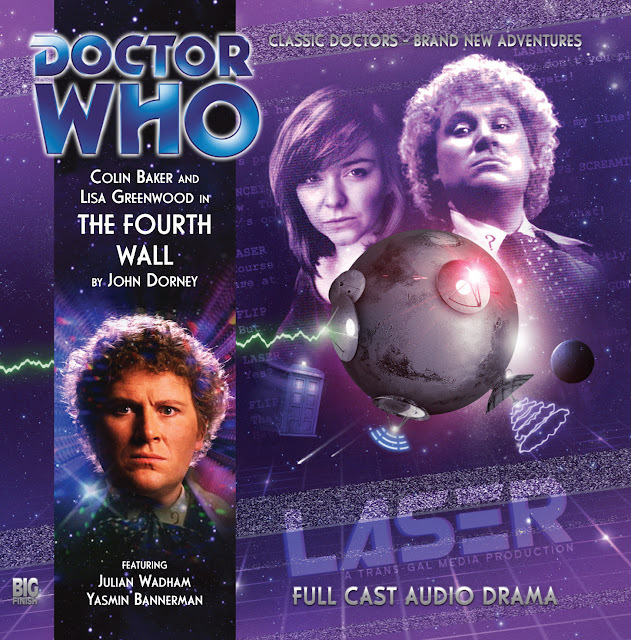 The Sixth Doctor is once again in fine form and continues to prove he is the best doctor on audio. He owns this audio and his performance was once again excellent. His command of the situation and slight arrogance are welcome additions to any story. Flip is barely in this, which is sad because she and the Doctor have some great moments in chapter one. This story would have rated better for sure if it was simply presented later. I would like to get to know a companion before she is separated from the Doctor and marginalized for over half the audio. Doctor Helen Shepard is mostly here to provide information and randomly has a kind of arc at the end. She was nice, but the moral of her story was bizarre. The other characters are good. I found myself really caring about even the fictional characters. The Porcions have a nice arc, though it is left ambiguous as to whether they actually learn anything. Largely, they are more comedy. Augustus Scullop is a paranoid, vengeful old loon who is meant to be a parody of corrupt TV producers. He ends up as more of a stereotype than the fictional characters and therefore not much of a threat. Lord Krarn is the real villain, which is funny because he is fictional. Krarn's monologue in part three was excellent. I have to recommend this based on the strength of that scene alone. This audio gets a bit chaotic in chapters two and three. I never could quite figure out exactly how the fiction to real world travel looked. I guess it was just walking though a screen, but I have no idea. The ending has a confused moral that I don't think really matched up or worked with the setting. Also, I'm not sure why the Doctor couldn't just undo all the damage. This one is worth a listen, but it is exceptionally frustrating at parts. Listen for the Sixth Doctor, Lord Krarn, and Flip for the little time she was there. A follow-up to one of my favorite Fourth Doctor episodes. The Sixth Doctor and Flip transmat into a family settlement in frozen over Scotland. Unfortunately out on the ice lie thousands of the ravenous Wirrn, giant alien insects who lay their eggs inside something and then eat their way out of them. This audio is quite tense and exciting. The family dynamics work and are interesting. We get plenty of interaction between Flip and the Doctor and I think this would have worked better as the second audio of this trilogy. There is a high reliance in the plot on technobable, which might turn some people off. The Sixth Doctor is fantastic as ever. It does seem a little weird that he keeps trying for peace with the crazy Wirrn after they do some things that he's allowed lesser creatures to be killed for in the past. It was fitting, but inconsistent. Flip is charming and funny. I am really enjoying her strength and adventurousness. She's travelling to have some dangerous fun and I think that sets her apart from many other companions. She bravely sets off alone in a plane partially to save them, partially for fun. The family is dysfunctional, but mostly believable. The family glue seems to only become strained after circumstances start to become strained. The mother and father actually go really nuts toward the end. Also, the little girl, Toasty (No, that's seriously her name), had the potential to be annoying, but was really charming and intelligent. The Wirrn are an awesome enemy. They absorb the memories and can mimic the voices of those they harvest. This makes them great on audio and a Doctor Who foe that deserves to be remembered. In this they get to show both brains and brawn. Their desperation is part of their horror and it comes across nicely. This audio also managed to be really creepy with the tiny house setting and the lake covered in 'branches.' The city invasion toward the end did lack tension, but I didn't mind too much. This story's resolution kind of came out of nowhere, but it was adequate. I did like the closing talk between Flip and the Doctor. Unfortunately, we have another a fake companion departure that seems contractually obligated at the end of every companion's first trilogy. At least this one gives us some resolution. 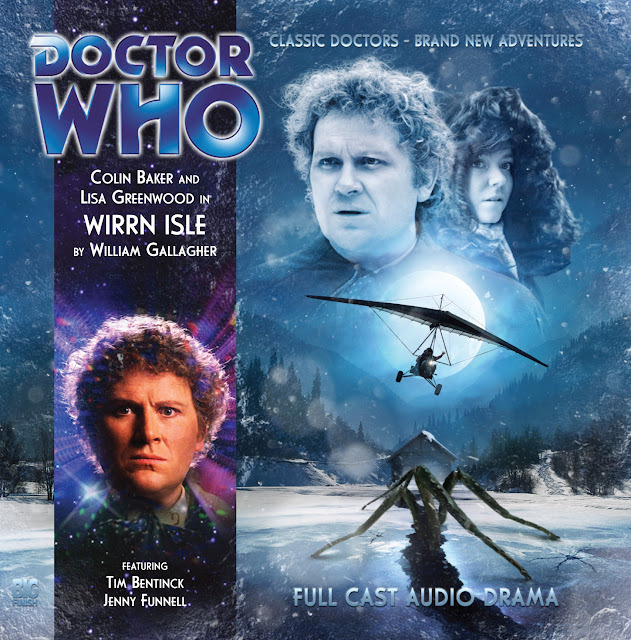 It has some problems, but I think this is one that fans of the Sixth Doctor or the classic episode 'The Arc in Space' should listen to.